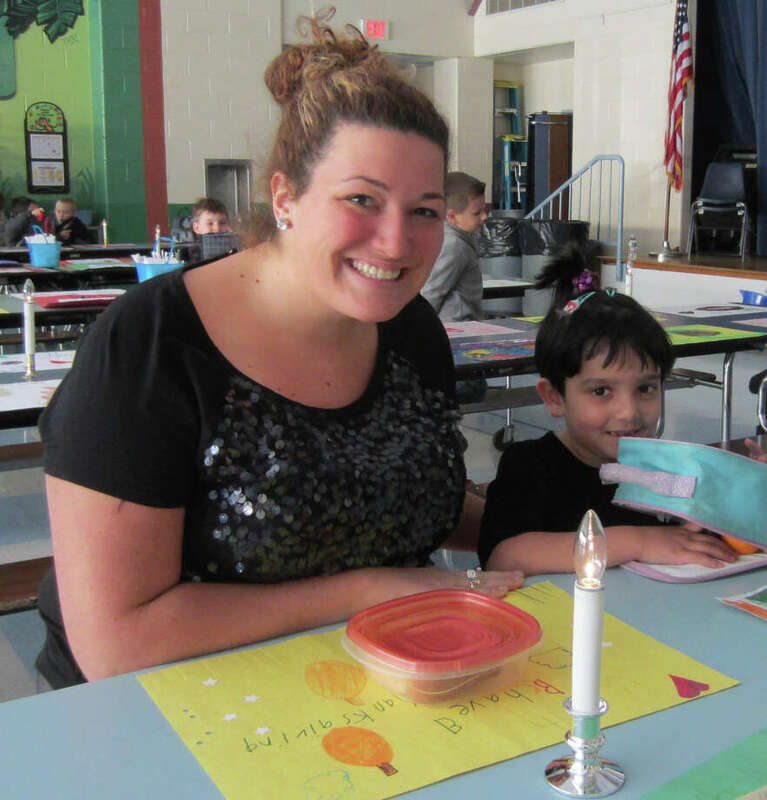 Kindergarten teacher Katie Carr joins student Ayesha Hussain, one of first few guests to arrive at Hill and Plain Elementary School’s recent Friendship Luncheon in New Milford. Hill and Plain Elementary School recently held a Friendship Luncheon, a tradition started by former Principal Sandra Nadeau. Children were encouraged to dress up for a candelight lunch. Tables were decorated with placemats made by students in art classes, and music played during the festivities.